Every Girl Scout is amazing, and when we come together for fun, friendship and purpose in the Girl Scout Cookie Program® we are unstoppable! This year, we’re celebrating the strength, value and spirt of teamwork powered by the Girl Scout Cookie Program®. As the country’s largest girl-led business, it’s a unique, hands-on way for girls to develop essential skills that will help them grow into leaders in all aspects of life. 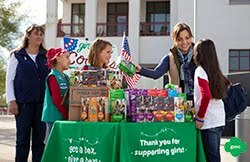 Many successful businesswomen and community leaders say they got their start selling Girl Scout Cookies. 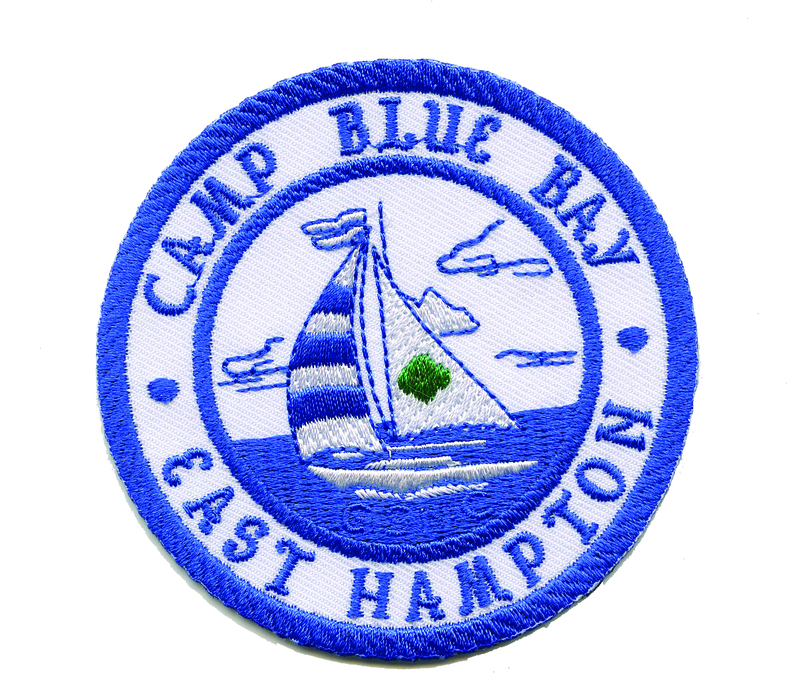 The Cookie Program also funds your Troop’s activities, and it helps support our council’s financial assistance, girl programs, Volunteer training and facilities maintenance – including our newly renovated Service Center and our beautiful Camp Blue Bay. All proceeds stay here in Nassau County. 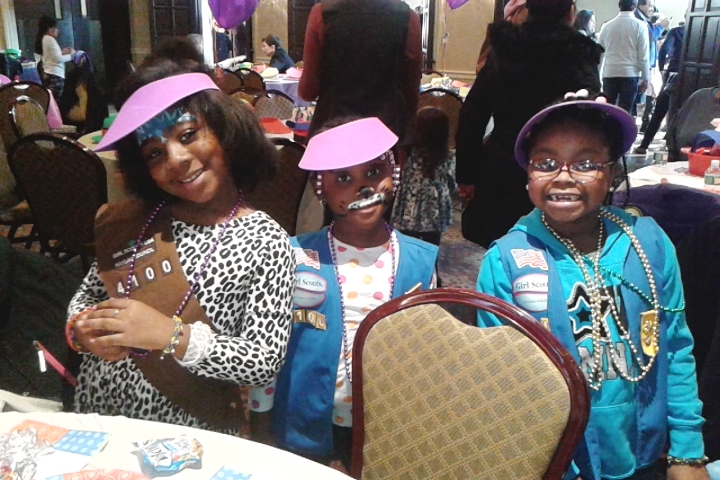 Best of all, our girls look forward to the Cookie Program every year because of the fun activities, exciting opportunities…and the chance to take charge. Welcome our new Chief Executive Officer! 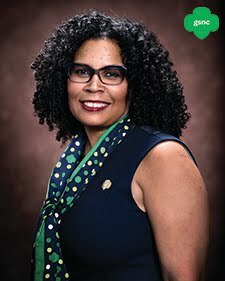 The Girl Scouts of Nassau County Board of Directors is proud to announce the appointment of Randell (Rande) Marie Bynum as the new Chief Executive Officer! 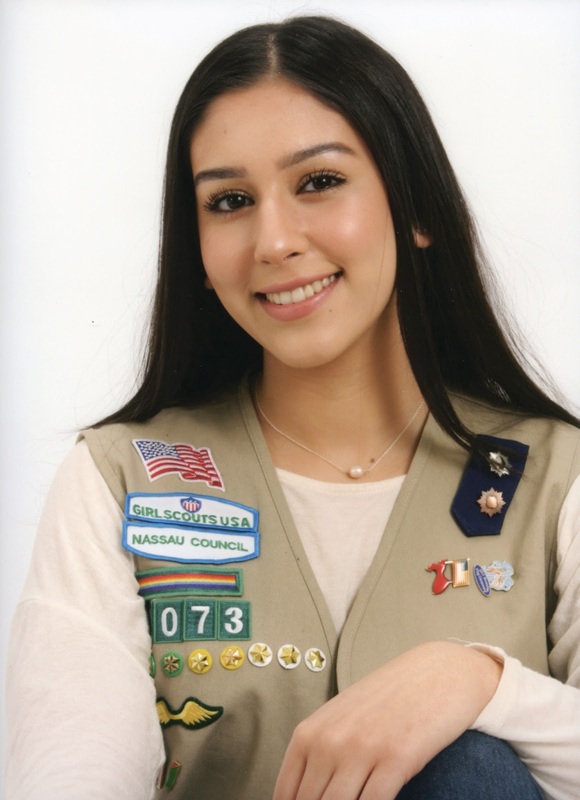 Rande joins Girl Scouts of Nassau County with experience as an independent contractor working with non-profits, corporations and media entities, most recently with the PwC Charitable Foundation. Prior to her consulting work, she was the Publishing Director of Family and Community Engagement at Scholastic Inc. She was also the Senior Director, Outreach and Partnerships at Sesame Workshop where she managed all engagement activities for Sesame Workshop’s The Electric Company. 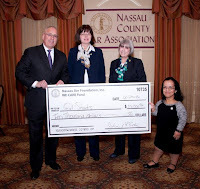 Earlier in her career, Rande was the Director, Program and Adult Development at Girl Scouts of Nassau County. 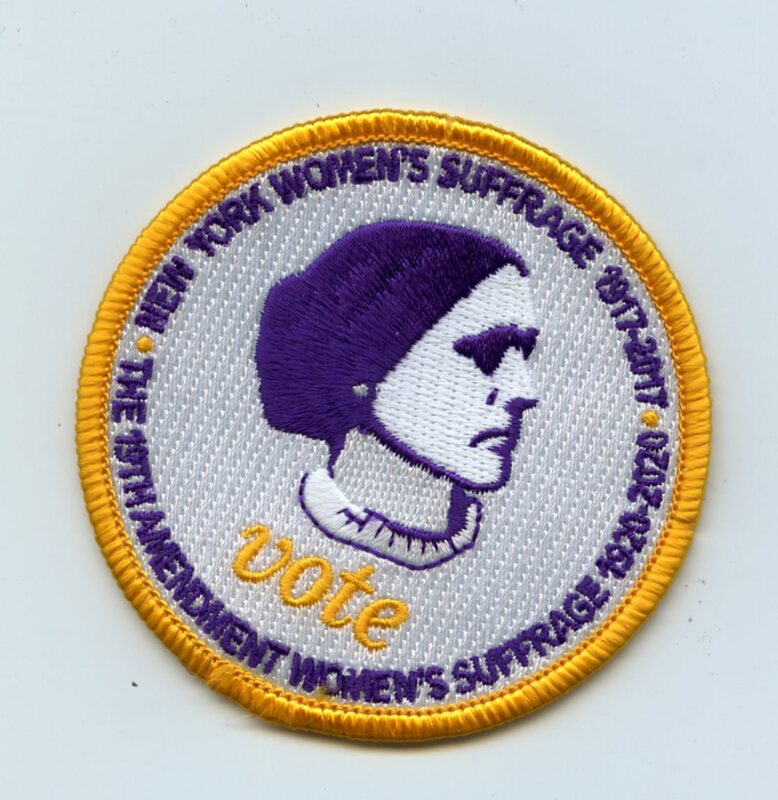 She also worked at the Girl Scouts of the USA, where she was responsible for the implementation of The Dove Self-Esteem Fund corporate partnership and the development of the Girl Scout/Dove Self-Esteem Program. She is the co-author of Dove’s True You!- Sometimes I Feel Ugly and Other Truths About Growing Up workbook for mothers and daughters. Rande is a third generation Girl Scout and received a Master of Social Work with a program planning, administration and research concentration from Stony Brook University. She also holds a B.A. from Binghamton University. Girl Scout Troop 1254 recently received their Silver Award at the Garden City Association of Girl Scouts Awards Ceremony. Together, the girls developed programs to help shelter animals. Ella, Mary and Deanna, created a reading program entitled “Reading to the Rescue” for Pets 4 Luv. The girls donated a bookshelf that they personally painted with animals and bright colors to be placed at the main entrance of the center. The girls filled the bookshelf with books they collected throughout the year. The program helps young readers gain confidence as they read to a non-judgmental audience and it calms the animals and gives them the attention they need while they are waiting to be adopted. 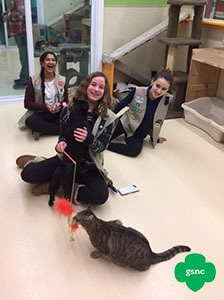 Riley, Simran and Colleen instituted a field trip program that invites sister Girl Scouts, senior citizens and all members of the community to visit Pets 4 Luv. Visitors are encouraged to bring much needed supplies to the shelter. The Troop visited The Bristol assisted living residence to make cat toys with the residents and spread the word that senior citizens can have an impact on the lives of shelter animals. 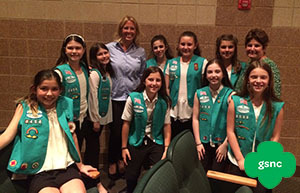 Girl Scout Junior Troop 3404 of the Plainedge Association received recognition for having earned their Bronze Award. They learned the value of public service announcements while working through the Agent of Change Journey. The Troop named their project Kind Kids Count because though memories may fade; they all agreed that they remember being treated with kindness in kindergarten. The girls created a PSA virtual tour of their school that included everything they wish they knew when they entered kindergarten; like how to use a lunch card, playground rules and what to do when you are not feeling well. Their virtual tour was added to the school website so that new students could view it repeatedly over the summer months. It was also shown at the kindergarten parent orientation meeting. The girls also created a coloring book that depicted the kindergarten experience. A copy of the book was mailed home by Principal Thearle of Charles E. Schwarting Elementary School, to every incoming student along with a parent orientation letter. The Troop donated cloth and colorable tote bags for each student to use to carry their library books. At the annual Sailing into Kindergarten Orientation event, the girls helped new students write their names on their bag and they answered all kinds of questions. To make their project sustainable, the girls saved their PSA virtual tour and coloring book to a flash drive and gave it to Principal Thearle for future use. The night of the award ceremony, the girls were happily surprised to be greeted by Principal Thearle who personally thanked them for their contribution to the Schwarting school community and handed them their awards on stage. She also asked them if they would like to return in August to orientate another kindergarten class. The girls did not hesitate to say yes! 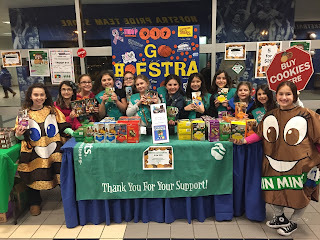 The PTA has approved and paid for the bags this time around and Troop 3404 is looking for a younger Troop to mentor so that their Bronze Award is not only sustainable— but is a new tradition! Do you find yourself staring up at the night sky wondering about the stars and the planets? Do you love learning about the Universe and dream of becoming an astronaut? 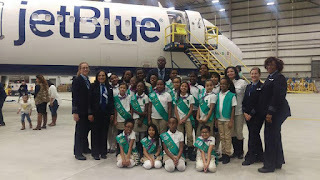 Two Senior Girl Scouts with a passion for astronomy were selected to represent Girl Scouts of Nassau County (GSNC) during a weeklong Leadership Training Summit at NASA’s Goddard Space Flight Center in Greenbelt, Maryland. The experience was out of this world. It was a combination of lectures given by NASA’s best and brightest, hands on laboratory activities, fun and friendship. At NASA Goddard, hundreds of scientists are making the latest discoveries each day. 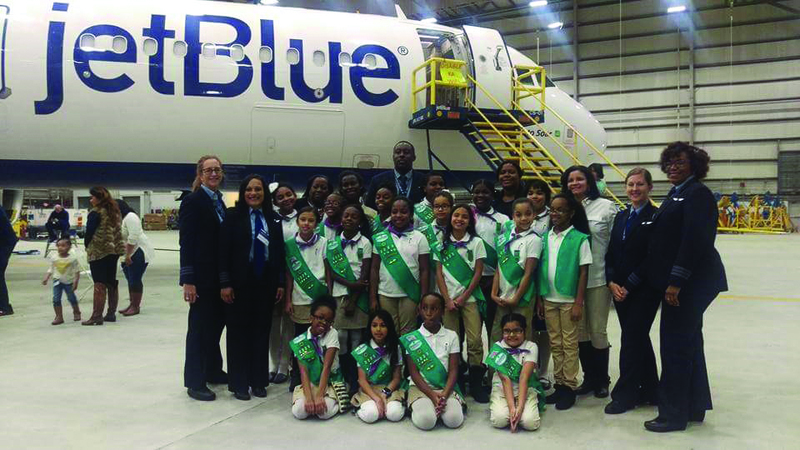 NASA launched a partnership with Girl Scouts of the USA to educate and excite girls about astronomy. As you can imagine, there was a lot of competition, and only 10 councils were chosen to participate in the Leadership Training at Goddard! 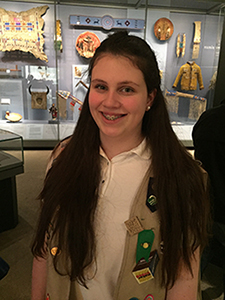 GSNC compiled a team of four individuals, an amateur astronomer, a council representative, and two Girl Scouts. Our amateur astronomer, Sue R.’s love for astronomy was contagious, and her expertise invaluable. Without Sara S., Girl Experience Senior Manager at GSNC, our trip would not have been possible. Sara wore many hats during this trip, she was our support and guidance, go to for any questions, and reminded us to stay hydrated. Miranda and Madison were Nassau County’s Girl Scout representatives. Miranda is a student at Jericho High School with a long time interest in astrophysics. 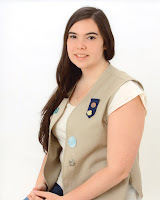 In addition to being in accelerated courses, she is a member of the Girl Scout FIRST® Tech Challenge (FTC) Robotics Team, The Digital Darlings, and a volunteer for the younger FIRST® LEGO League (FLL) Robotics teams and at FIRST Robotics events. Madison is an honors student at Our Lady of Mercy Academy. She is a member of Media Girls, Ceremonial Unit, Girl Speak, and a volunteer for Girl Speak Junior and Scoutreach Programs. Our team was a great fit! Our days at Goddard began with introductions and discussions about the outcomes we wanted from the program. This welcoming and friendly atmosphere set the stage for the week to come. Each morning, we heard from one of NASA’s expert scientists. Dr. Carrie Anderson discussed the Cassini Mission and the moon Titan, which are her areas of research. Dr. Nicki Viall discussed heliophysics, which is the science that focuses on Earth/Sun Interactions. Dr. Viall is currently studying temperatures in the corona of the Sun. Dr. Sten Odenwald gave an engaging discussion regarding the unanswered questions of the Universe, including Dark Matter. Ms. Kristine Romich gave a relatable talk about the internships and research programs for high school students interested in STEM. Our week concluded with an address by Nobel Prize Winner, Dr. John Mather. His speech centered around his role cementing the Big Bang Theory and the James Webb Telescope, the successor of the Hubble Telescope. All of the speakers radiated passion and were excited to interact with the girls. Learning by doing is an important part of all Girl Scout programs. Our interactive lab activities and tours enabled us to apply what we learned from our lectures and talks in a real-world environment. Our group created a scale model of the Solar System, made observations and inferences about a brand new planet made of Play-Dough, viewed Robotic Solar Telescope images, made cereal box spectrometers, created an H-R Diagram, and had a Virtual Reality experience. We visited the Space Weather Action Center, Spacecraft Assembly Building, Educational Technology Lab, and Goddard Visitors Center. While touring, we were introduced to different scientists and astronomers, and learned more about the diverse career opportunities in science. Our week at Goddard was specifically designed for us by two NASA employees, Lou Mayo and Troy Cline. Lou and Troy were there every step of the way with us during the summit, coordinating all speakers, tours, and activities. They made sure everyone felt included and had a memorable time. All of the hard work done by these individuals made it possible for GSNC to begin a local Astronomy Club! The GSNC Astronomy Club will be a series program for girls in sixth and seventh grade who are passionate about astronomy or want to learn more about this fascinating topic. Meetings, which will begin later in 2017, will consist of interactive activities, engaging presentations, fun and friendship. When more information becomes available, it will be found on GSNC.org. Celebrating 10 Years of Robotics! It’s hard to believe that GSNC girls have been competing in US First Robotic Challenges for 10 years, but we reached that milestone this past season! The program we participate in is the FIRST Program. In the US teams from 50 states, and worldwide teams from 80+ countries, participate in this program. FIRST combines the engineering challenge of a robotic competition with real-world problem solving and inventing. 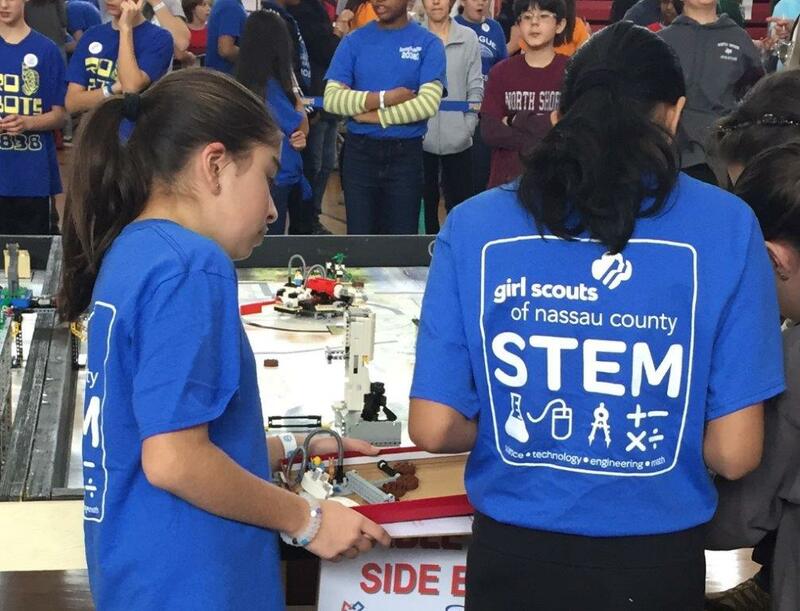 Girls who participate in GSNC’s Robotics Program, develop and expand their organizational and problem solving skills, learn teamwork and cooperation and become involved in their local and global community. They gain hands-on experience in applying real-world math, engineering, coding and science concepts while adhering to the philosophy of “Gracious Professionalism,” exhibiting helpfulness, kindness, and respect as they work, play, and share with others. We have had three program levels throughout the years. 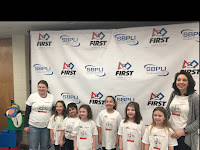 We started out with the FIRST® LEGO® League FLL) level, 9-14 years old, added FIRST® LEGO® League Jr. (FLL Jr.), 6-9 years old, and when our FLL girls aged out they wanted to continue so we started a FIRST® Tech Challenge (FTC) team for high school age girls! Through the years our teams have won numerous awards (a lot!) and have gone to the School Business Partnership of LI, Inc. (SBPLI, Inc.) Championship Tournaments, the WORLD Festival in Atlanta, GA & St. Louis, MO and the FLL US Open at LEGOLAND, FL. 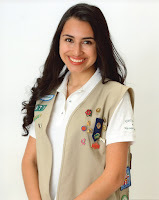 Thank you for the amazing opportunities that you have given me allowing me to live and pursue the Girl Scout Mission - for the girls in Nassau County and girls across the country. 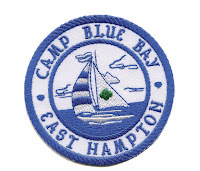 For sixteen+ years I have been blessed and privileged to serve as the Executive Director/Chief Executive Officer of Girl Scouts of Nassau County. 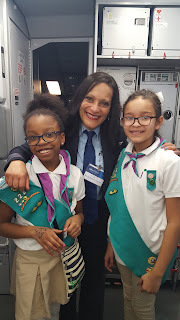 I have truly had the very best job in the world, and I have been honored to lead alongside wonderful volunteers and smart committed staff members who share my love of Girl Scouting and who understand the potential for greatness available to any girl touched by Girl Scouts. The time has come to announce my retirement, effective the end of July. 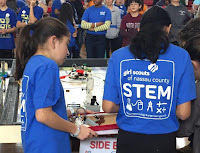 Girl Scouts of Nassau County continues to support our girls and volunteers, while offering a variety of outstanding programming at the Council level meeting the needs of our girls for STEM awareness, addressing the Critical Issues affecting their lives, and encouraging them to explore the outdoors and take meaningful action in their communities and the world. None of these accomplishments are mine alone. 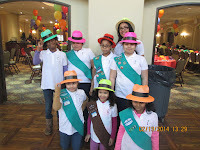 All of our Girl Scout work is the result of strong teamwork and cooperation among our girls, volunteers and staff. I leave with gratitude to all who have enriched my work and my life these past years as a professional Girl Scout. I am eager for the new opportunities that await all of us. I hope that our paths will cross again very soon. Girl Scouts of Nassau County would like to thank all families who participated in the Girl Scout Cookie Program. 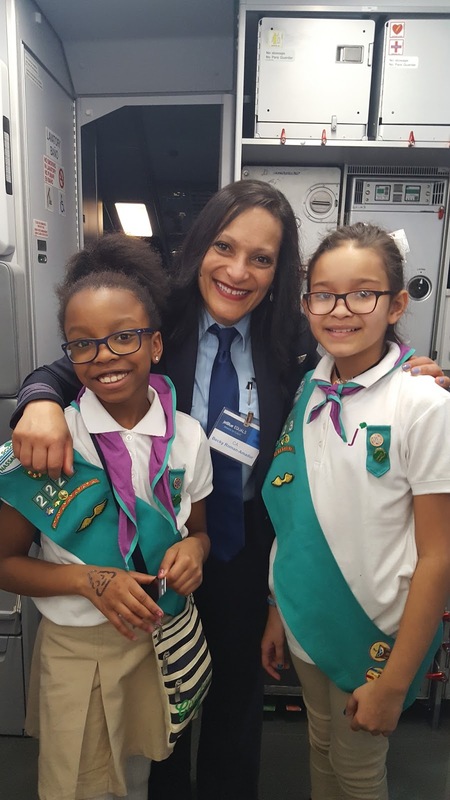 You have given your children an opportunity to learn about goal setting, decision making, people skills, money management and business ethics, which are known as “The 5 Skills”, a key element of the Girl Scout Leadership Experience. 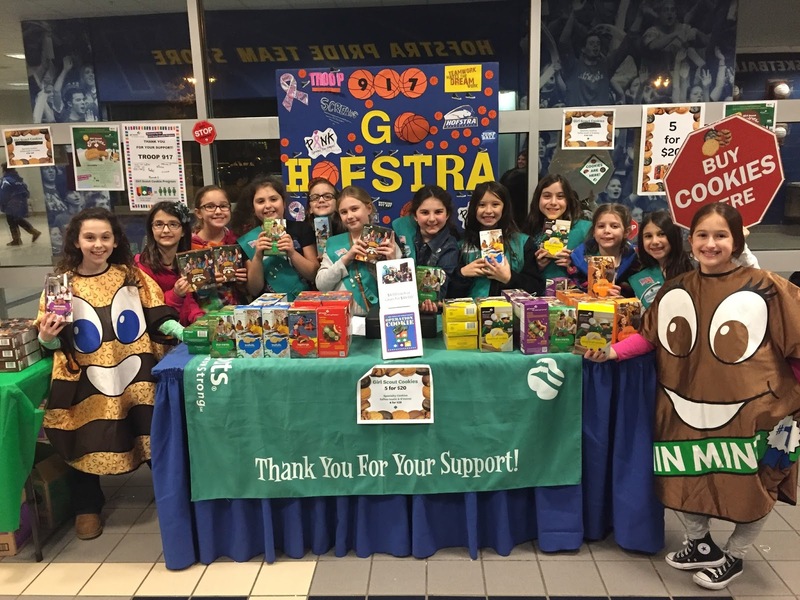 The Cookie Program would not be possible without the assistance of 2000+ “Cookie Support Staff” – our Troop Cookie Managers and Troop Leaders. In addition, we appreciate the dedication of our Association Volunteers: Cookie Chairs, Drop Site Coordinators, Booth Site Coordinators, Rewards Coordinators and Cupboard Managers. See the list of names to the right. As always, with much gratitude we thank the coaches and mentors for their dedication and for the example they set for the girls. Because of them, the girls had another wonderful season! 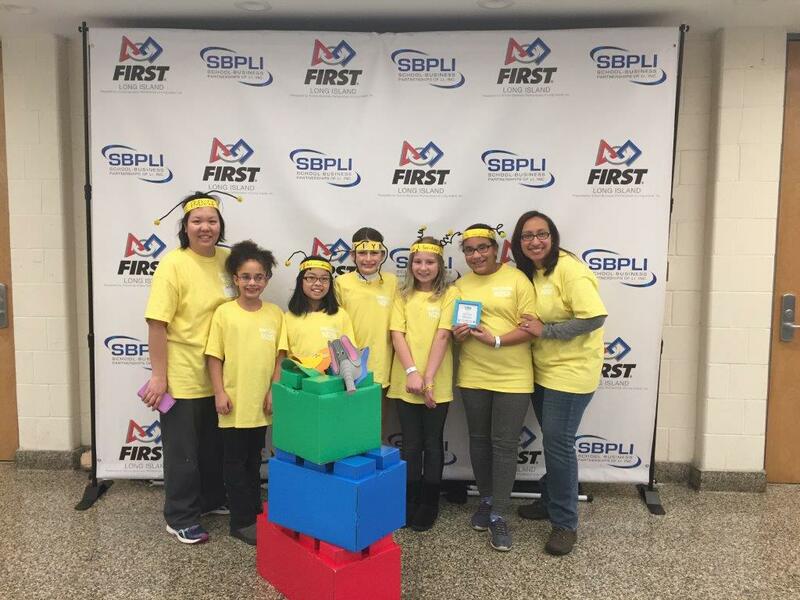 Here are the results of our recently completed 2016 – 2017 season: FIRST LEGO League Junior (FLL Jr.) 6-9 years old: The Robotic Rock Stars won the OUTSTANDING TEAMWORK Award at the School Business Partnership of Long Island’s (SBPLI) FLL Jr. EXPO where the girls showcased their LEGO robot design and their research. The Science Superstars will host their own EXPO where they will present their LEGO robot design and research to family & friends. FIRST LEGO League (FLL) 9-14 years old: All of these teams competed in the SBPLI. 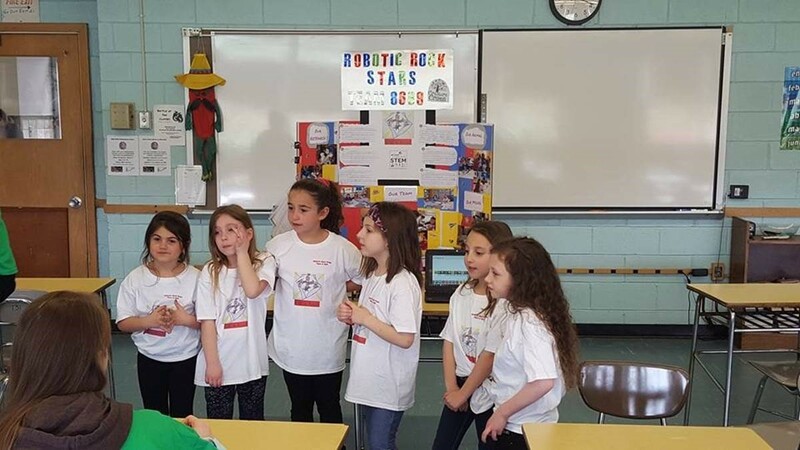 Inc. FLL Qualifying Tournaments, here the girls showcased their LEGO robot design, their research and invention. 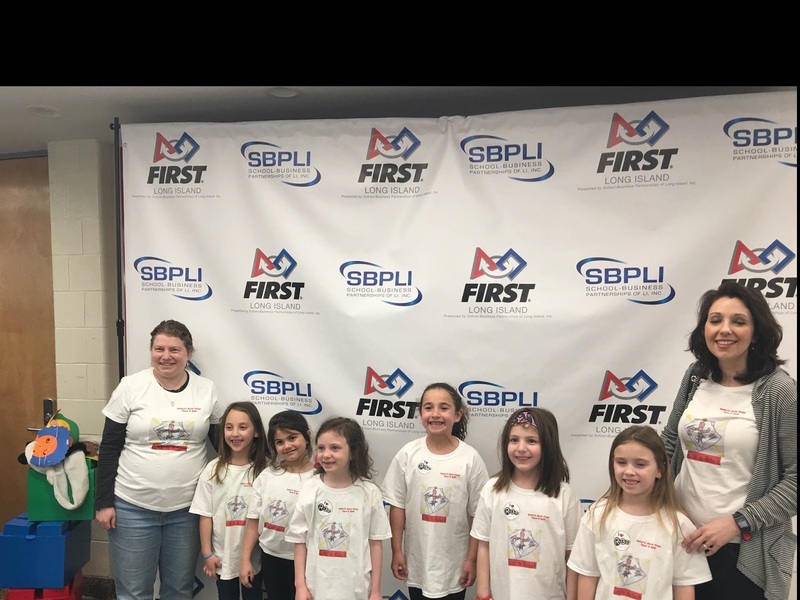 Our four FLL teams that competed were the Soaring Rockettes, Tech Time Girls, LEGO Lovelies who won the TEAMWORK Award, and the Smart Cookies who won the STRATEGY & INNOVATION Award and Placed #3 in Robot Performance! 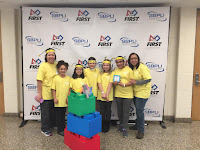 FIRST TECH Challenge (FTC) 9-12 grades: Our rookie team, the Digital Darlings had a fun first season attending SBPLI, Inc. competitions in Syosset and Lynbrook. ALL of our teams worked hard and persevered! We congratulate them and thank them for representing Girl Scouts of Nassau County with courage, confidence and character. We are very PROUD of them all!